Happy dreary Monday to you all! We’ve had a crazy rainstorm happening all day in Houston, getting me pumped to watch the Bachelorette with my girlfriends tonight and do a bit of absolutely nothing. Rainy couch days are best paired with easy and absolutely delicious desserts. I have a great one for you today. As it seems is common lately, I was searching for a dairy free dessert option for a surprise going away party for a friend. I have a lot of good people in my life who’s tummy’s fight viciously with dairy. It’s tragic, but more and more common, so I have been trying to accommodate them. Since I hadn’t started brainstorming desserts until the last possible minute, I also wasn’t going to have time to make something complicated. These peanut butter cup rice crispy treats check both boxes. 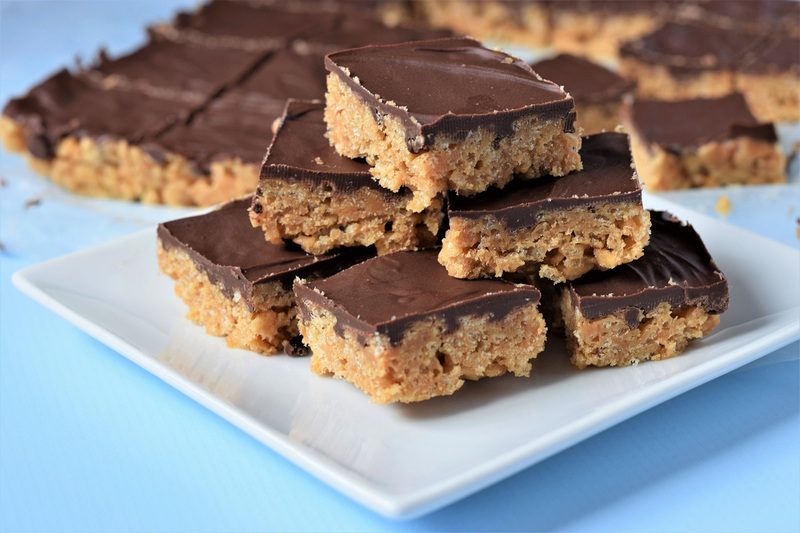 The peanut butter and corn syrup replace the fat and stickiness from the butter and marshmallows in a normal recipe, and are so much easier to press into the pan without having a horrible sticky mess on your hands. As for the chocolate, there is dairy (I am not about spending $10 on a vegan chocolate bar), but it’s minimal and I was told that it went unnoticed by the faint of stomach. Though I’m not usually that excited by rice crispy treats, these are so different. 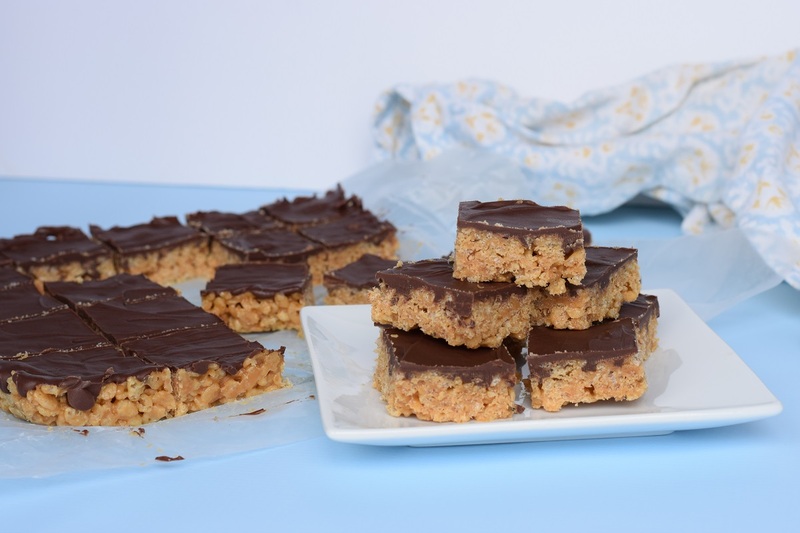 I honestly ate four bars before the pan even got to the party, and most people didn’t get a chance to try them because they were gobbled up before dinner even started! They remind me more of a Reese’s peanut butter cup with a nice crunch to them, which everyone knows is the best candy bar. I always traded away anything I could find for more Reese’s at Halloween – anyone else? 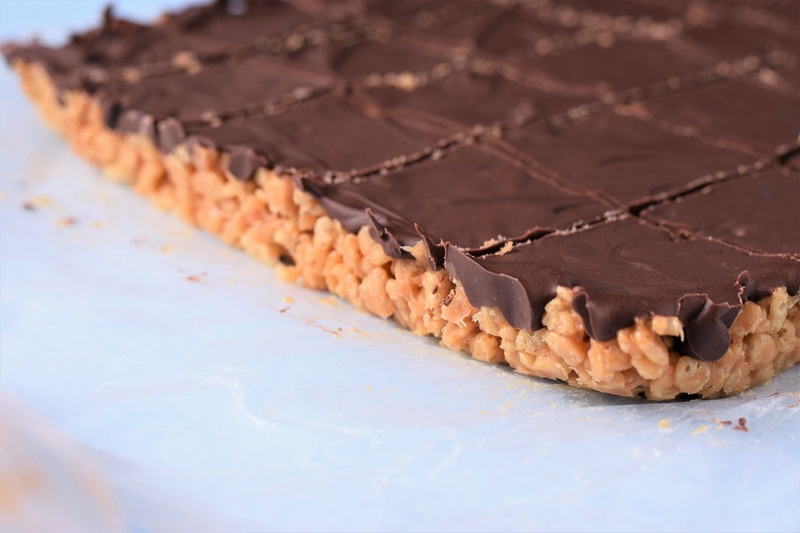 Even though it was my first try at these peanut butter cup rice crispies, I am letting you know they are going to become a family favorite for years to come. 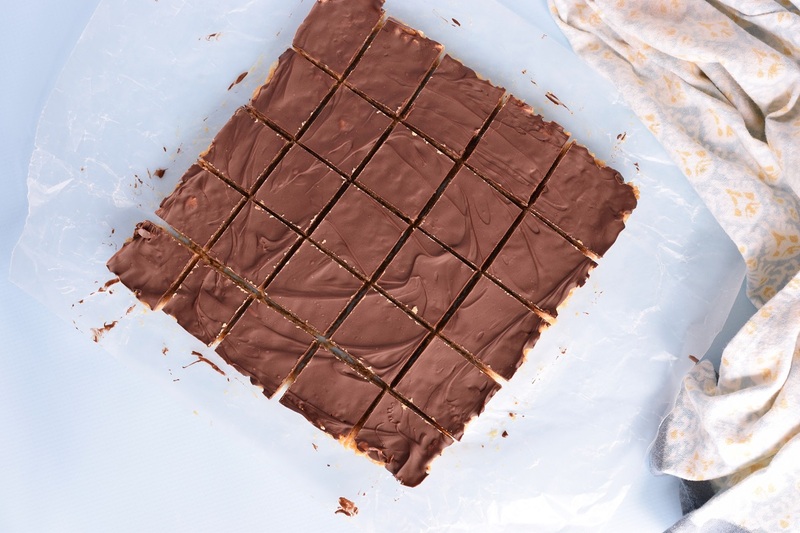 You can’t go wrong with peanut butter and chocolate, four ingredient recipes, or ones that don’t even require you to turn the oven on. I’m looking at you, Houston summer. 1. Prep an 8″ x 8″ or 9″ x 9″ pan with wax paper or parchment paper and some butter or cooking spray. Set aside. 2. Mix the 2/3 cup of peanut butter and corn syrup in a large saucepan over medium heat until it starts to bubble. Remove it from the heat and mix in the rice crisp cereal. Pour the mixture into the prepared pan and press it down firmly into a flat layer. Place in the freezer for 15 minutes to set. 3. Once the bars have set, melt the chocolate chips with the 2 tablespoons of peanut butter in a bowl in the microwave for 30 seconds, stir, and then microwave for another 15 seconds. Stir until smooth and pour over the top of the bars. Spread it out to cover the entire pan, and then place in the freezer for another 15 minutes. 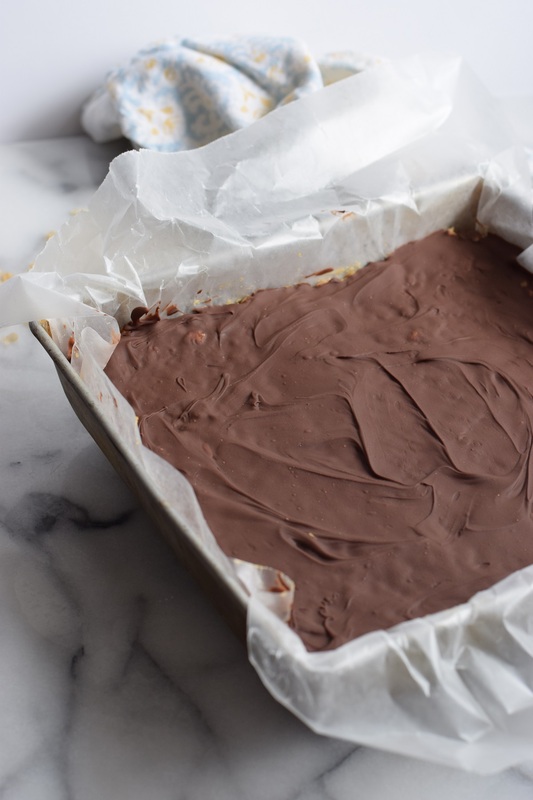 Once the chocolate has set, remove the waxed paper from the pan and cut into 25 slices. 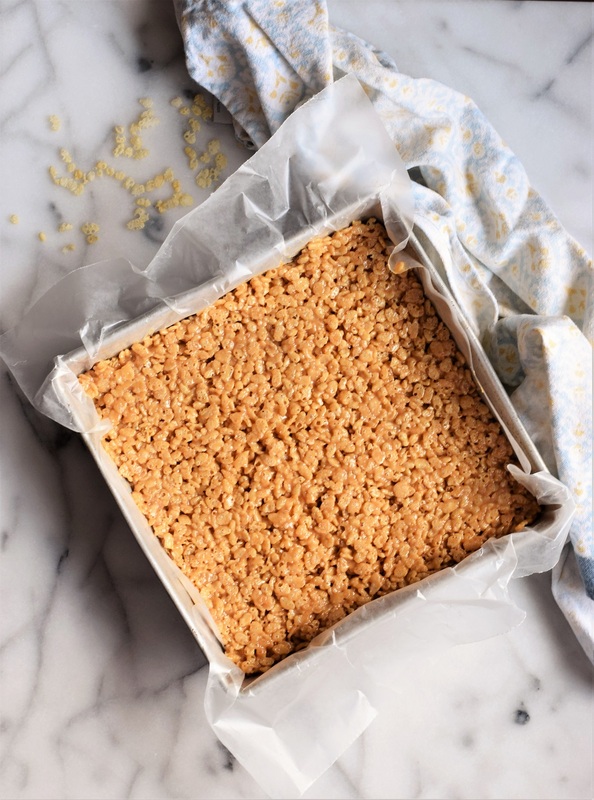 These bars can also be kept in the freezer for multiple days before serving. Yummmmmm I want them now! So glad you like them! They are soooo good! 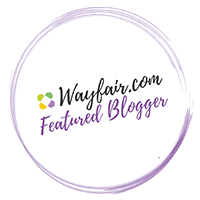 Great alternative to traditional rice crispy treats! Thanks so much! I totally agree! 😄 thinking about making more tonight for bachelorette viewing purposes!